Steven Spielberg, the Coen Brothers, and Tom Hanks. What more do you need? 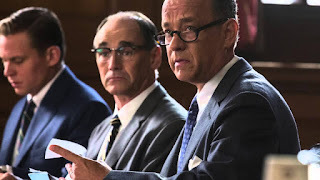 The combination of those three alone should excite even the casual moviegoer, but place them into the Cold War era, throw in some espionage and audiences everywhere are given one of the most intelligent and complex movies of the year. At the height of the Cold War, paranoia is at an all-time high over Russian spies and nuclear war. James Donovan (Tom Hanks), a decent man and good insurance lawyer, finds himself in the middle of it all when the US government asks him to defend a suspected Russian spy, Rudolf Abel (Mark Rylance). Things go even further when Donovan has to eventually negotiate a swap between the two feuding countries, their Russian spy for the United States pilot. 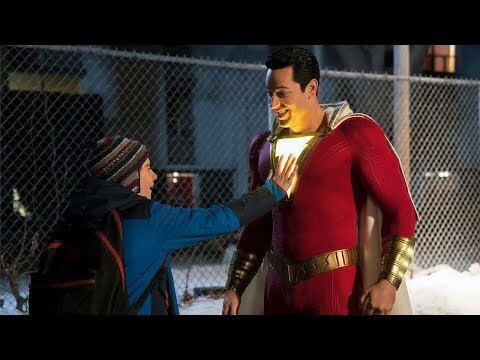 Steven Spielberg has become something of an icon over the years for his big blockbusters, but the slightly unnoticed talent of Spielberg is getting great performances out of his actors. There is no shortage of that here. The right collection of shots and cuts create a perfect atmosphere for the dialogue to come across without becoming a dull affair. But even though the acting is excellent, due in some part to the direction, and the directing in general is fantastic, Bridge of Spies just lacks something to make it truly spectacular. The script is actually extremely well written, which is to be expected given the history of the brothers behind it. Joel and Ethan Coen have such a well-crafted and well-paced story with some fantastic bits of dialogue throughout. It's clear, at times, that their influence was there around the darker elements of the film. 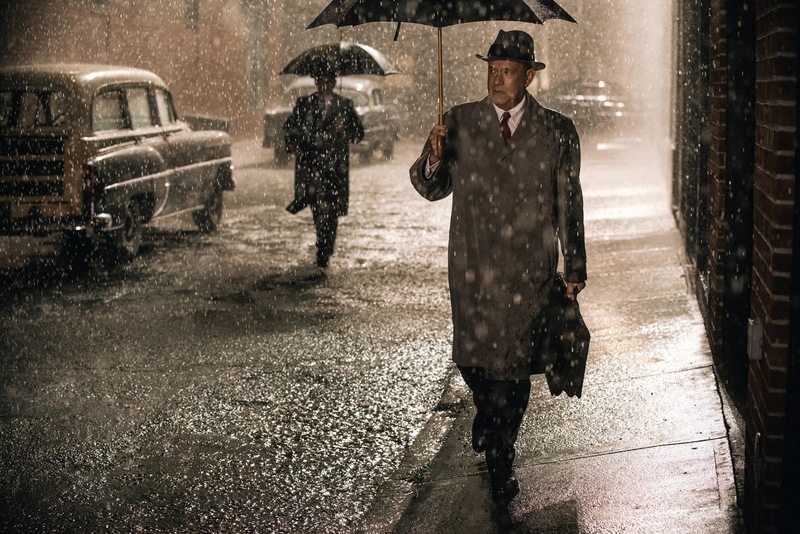 So what did you think of Bridge of Spies? Have you seen it, what did you think, and what's your favorite Spielberg film? Comment below and let me know and as always return to I Am Sam for weekly reviews.